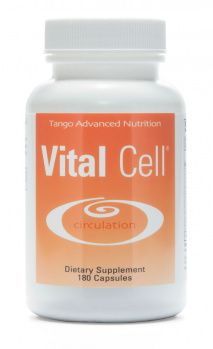 Tango Advanced Nutrition is the exclusive distributor of a unique line of outstanding herbal formulas designed by leading anti-aging scientists and herbal researchers. Our advanced formulas are modern, updated versions of traditional herbal “essence tonics,” long revered for their legendary abilities to enhance energy, promote vitality and restore health. 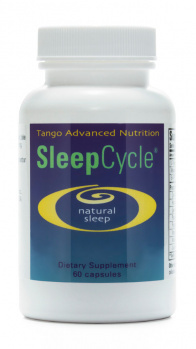 The surprising power and efficacy of Tango formulas lies in our innovative approach of combining time-proven herbal formulations with modern, state-of-the-art manufacturing, testing and quality control standards to unleash the legendary restorative powers of these time-honored tonics. 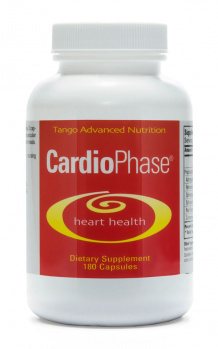 Tango Advanced Nutrition’s herbal formulas are based exclusively on Tonic Herbalism – the practice of combining traditional ‘tonic herbs’ into formulas that offer a synergistic effect far greater than that possible by taking individual herbs. The core tenant of tonic herbalism is that regular consumption of tonic herbs can aid the body in maintaining its self-regulatory capacity for optimal health. Tonic herbs, referred to in Traditional Chinese Medicine (TCM) as the “superior herbs,” comprise an “elite class” of only 60 of the approximately 3,000 herbs currently used in traditional herbal medicine. By definition, tonics can be taken continuously over a long period of time, yielding cumulative, long-term benefits without any unwanted side effects. Consistent daily consumption is the key to gaining the benefits of tonics. By comparison, herbal essence formulas have been in a constant state of development and refinement for thousands of years. An obvious benefit of this process has been the accumulation of a large and sophisticated body of empirical knowledge, gathered over generations and lifespans, that clearly reveals which formulas work, which ones are problematic, and which ones belong to the “superior” class of tonics capable of safely supporting optimal health. All of our flagship formulas are based on traditional herbal tonic recipes. 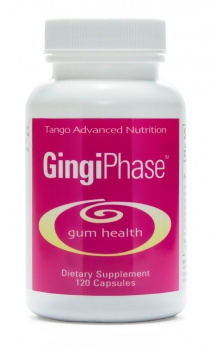 Some were designed exclusively for Tango by internationally-recognized master herbalists, including Dr. Dexin Yan (ImmunoPhase, Herbal Boost, Vital Cell) and Dr. Jake Fratkin (BronchoPhase, GingiPhase, ProstaPhase). Others were identified and selected for evaluation by Dr. Richard Ko. As a former senior research scientist with the California Department of Health Services, Food and Drug Branch, for 16 years, Dr. Ko was actively involved in regulating dietary supplements and investigating issues related to herbal products. Dr. Ko brings his unique perspective and guidance regarding herbal safety and efficacy to Tango, as demonstrated by his numerous published peer reviewed papers, including “Adulterants in Asian Patent Medicines” (New England Journal of Medicine, Sept. 17, 1998, Vol. 339:847, Num. 12), “Adverse Events Associated with Dietary Supplements: An Observational Study” (Lancet, Jan. 11, 2003; 361:101-106) and “Dietary Supplement Adverse Events: Report of a One-Year Poison Center Surveillance Project” (Journal of Medical Toxicology, June 1, 2008 (2):84-92). Prior to full-scale evaluation by Tango, all candidate formulas must first survive an exhaustive, multilayered analytical testing program designed to detect and identify over 7,200 potential contaminants and drugs, many of which have previously shown up in other imported and domestically produced supplements. If a candidate formula passes this first layer of screening, it next undergoes additional testing to assure that it meets or exceeds FDA and U.S. Pharmacopeia (USP) safety standards for purity and quality. All tests are conducted by independent, third-party analytical laboratories utilizing, among other techniques, state-of-the-art atomic absorption and high-speed gas chromatography, mass spectrometry and high performance liquid chromatography testing. Once the composition and purity of a candidate formula has been verified we move on to our efficacy evaluation program to determine whether it actually does what it is supposed to do. This process involves in-clinic evaluations with participating medical practitioners and clinics around the country, and can last anywhere from six months to more than two years. While positive comments and glowing feedback from doctors and patients plays an important role in our product evaluation process, the most compelling factor comes down to demand. In other words, when the benefits of a formula are so compelling that participants begin to pressure us to make the formulas available for continued use, we know we have a winner. In the final analysis, this process ensures that our formula selection process is determined by the needs and desires of our friends and clients, versus the typical new product roll-out that needs to be sustained by hype and marketing. In the end, regardless of how much time, money and effort is invested in a potentially promising formula, if we aren’t convinced that it is significantly more effective than other options already available in the market, we are compelled to drop it so we can move on to more promising candidates. This is why our current line of formulas — only 18 at present — has been restricted to only those that meet the exceptional levels of product quality, value and client satisfaction, all hallmarks of Tango herbal formulas. Western medicine has historically viewed traditional herbal formulas with a high degree of skepticism. This situation is changing as more patients demand alternative health options free from the side effects of synthetic pharmaceuticals, and as more healthcare providers become aware of the growing body of peer-reviewed research supporting the safety and efficacy of these natural compounds.